China is on course to becoming a superpower – but not in the way many expect, writes economist Martin Jacques. 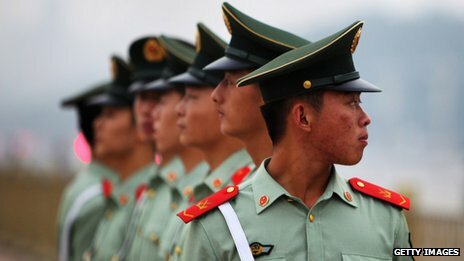 What will China be like as a superpower? You might think it is already – it is not. Its military power is puny compared with that of the US. 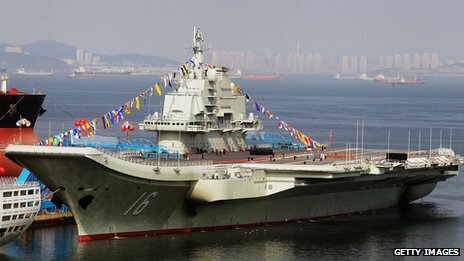 While America has 11 aircraft carriers, China only commissioned its first last month – based on, of all things, a Ukrainian hull. The only sense in which China is a superpower is economic – that is, its economy is already over half the size of the US economy and projected to overtake it around 2018, notwithstanding its reduced growth rate of 7%. But this is overwhelmingly a function of China’s huge population. In terms of technology and living standards it lags far behind the US. A common reaction to the idea of China as a superpower is that it will be like the US – except worse. Worse because it is not a democracy, it has a communist government and because its people are not like us. I guess that gives some the jitters. The West and China share an important characteristic – they both believe they are universal, a model for all others. But the way they have interpreted this in practice has been entirely different. For Europe, and latterly the US, it meant projecting their power around the world, most spectacularly during the heyday of colonialism in the 19th and first half of the 20th Century, when a large part of the world found itself under European rule. There is another reason why the Chinese have tended to stay at home. The country is huge, diverse – and extremely difficult to govern. The overwhelming preoccupation of its rulers down the ages has been how to maintain order and stability and thereby retain power. It remains just as true today. 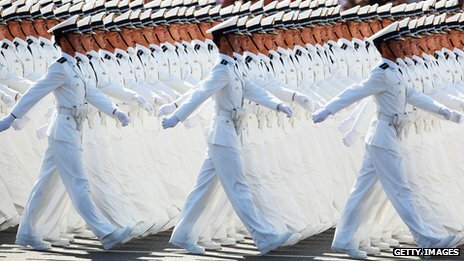 Rather than look outwards, China’s leaders look inwards. The exception was China’s own continental land mass. Its expansion, rather than to the four corners of the world, was confined to its own continent. And it is not difficult to see how the US – itself the product of European overseas expansion and settlement – inherited these characteristics from us. China won’t be like this. It is not in its DNA. Its rulers will be far less interested in seeking to dominate the rest of the world and far more concerned with keeping themselves in power. That is what ruling a country containing a fifth of the world’s population obliges. When Xi Jinping becomes Chinese leader next month, his in-tray, as with Hu Jintao before him, will be overwhelmingly filled with domestic rather than foreign issues. But don’t expect the Chinese to be impatient about their rise. In 1972 Henry Kissinger is reputed to have asked Zhou En Lai, the former Chinese premier, what he thought of the French Revolution. Zhou En Lai’s response: “It’s too early to know”. (*) Obviously, in order to colonize Southeast Asia, China has to go through Vietnam first, and Vietnam successfully repelled Chinese invaders throughout its 2000-year old of defending its borders from its giant Northern neighbor. Moreover, during the 1950s and 60s, Singapore’s Lee Kuan Yew was the only person who succeeded in overthrowing China-backed communists from turning Singapore into one of China’s cities. Additionally, Indonesia’s Suharto and Malaysia also were able to marginalize China-backed communist forces from being annexed by China. Nepal and the Philippines have been fighting off homegrown Maoists for years. Thailand and Burma have survived so far for being flexible in their dealings with China. Thanks for sending us your comments. A selection are published below. While this is an interesting perspective it doesn’t address China’s role in Tibet at all. And China has never been shy in flexing its might – military or economic. The Sino-Indian war of 1962 is an example of the former while its role in multiple African countries is a showcase of economic dominance. And while the tributary system worked for the Chinese, most of South East Asia still resents its historical dominance by a much more powerful neighbour – much like the colonised countries resented their rulers. Small point, but China’s title of “the Middle Kingdom” does not imply that it is the centre of the world. It acquired the title after the warring states period came to an end in the 2nd century BCE, when the western state of China absorbed its six rivals. As China was the middle state, that’s what China came to be called. A very interesting article and I agree with most of it, but surely modern Chinese economic development has depended on an endless supply of cheap labour. Over time this will change from being an advantage to a burden, as the people demand better conditions and bigger rewards – as is already beginning to happen. China is all about cultural projection and influence, not about the projection of military force, at least so far. Internally, there will be some pressure from the military and security forces to expand in the Western sense, but this is unlikely to get wide support. The interesting thing about cultural projection and influence is that it does not depend on the health of the Chinese economy. When it comes to projecting Chinese cultural influence, every Chinese is a supporter, even if they do not like the government in Beijing. As long as there are Chinese leaving China for other lands to study, live and do business, this influence will grow. China and the Chinese are like The Borg in Star Trek. A very thoughtful and insightful analysis – thanks. Just a couple of questions. 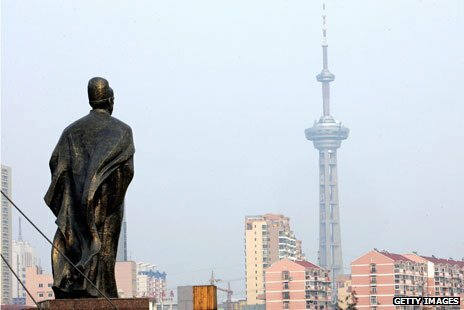 How is competition for resources likely to influence China’s foreign policy? And how does China’s treatment of Tibet fit into the article’s analysis? The author being an economist, is overwhelmed by the rapid growth of wealth in China. He has not noticed the mental attitude of the people there and the crazy hunger for consumption in all forms. Seems the author has not gone through the changing map of China over the years. Its unofficial military presence in several countries. It has disputes with countries all around its borders. It is continuously ‘expanding’ in a broader sense. Its policy is – if you can not invade militarily then BUY that place. China is also spending more and more on its military development. It is immaterial if the power used to bend other countries is military power or economic power. As long as its attitude is aggressive, it is the same as the other countries mentioned in the article. Overall it is going to contribute less to the entire globe compared to what it would consume.